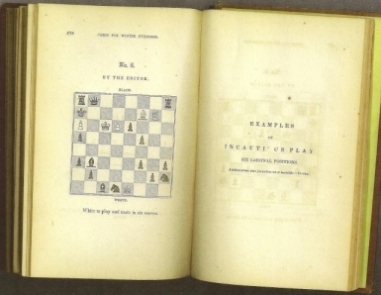 xiv+509 pages with three plates including frontispiece. Octavo (7 ½” x 5”). Brown cloth with gilt stamping to spine pictorial front board. 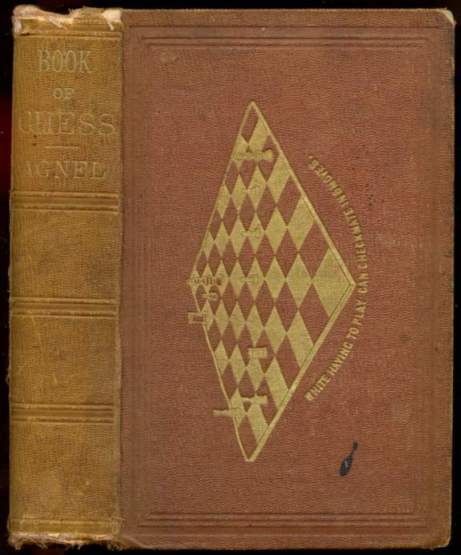 Frontispiece titled "The Money and the Gascon Chess Knight". This was issued annually from 1852 with only the date changing. 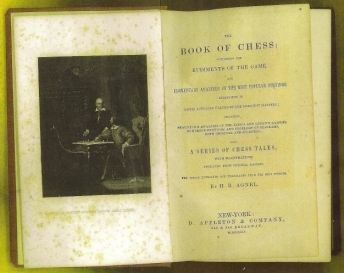 (Hagedorn 59) (Van der Linde 736) Reprint issued as an Octavo. Spine ends chipped, back inner hinge separated, corners bumped and rubbed. Over all a good copy.